Pioneers in the industry, we offer rcc garden curbing, footpath curbing, footpath cement curbing and portable buildings from India. Our firm is providing a high quality range of RCC Garden Curbing. These products are manufactured by our experts employing the optimum quality raw material, which is sourced from reliable sellers of market. These products are obtainable in varied sizes that meet on worldwide industry standards. In addition, we present these products at affordable rates. 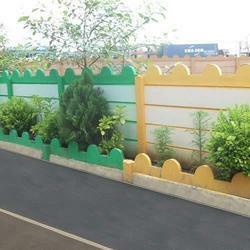 We are the leading firm, occupied in offering a wide range of Footpath Curbing. These products are made at our end utilizing the optimum quality material and advanced techniques. Our offered products are accessible in diverse specifications that meet industry demands. Our presented products are broadly utilized in the market due to their sturdy structure. Further, our valued customers can attain them at nominal prices. Our organization has marked in the industry for Footpath Cement Curbing.